under the small umbrella: A skeptical awakening? Optimum, sorry, Studiocanal has just sent over the first trailer and image for their upcoming film, The Awakening. 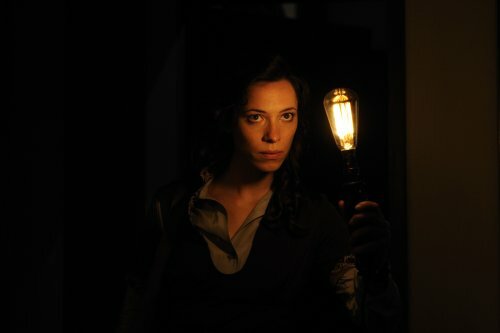 Set in post-World War I England in 1921, The Awakening follows a skeptical woman (Rebecca Hall THE TOWN) who travels to a countryside boarding school to investigate rumours of an apparent haunting. Just when she thinks she has debunked the ghost theory, she has a chilling spectral encounter which defies all her rational beliefs.